If you are a maintenance worker, you know that you need a good tool bag to carry around your equipment. After all, your pockets simply won’t do. Today we are here to take a look at 3 different options, all of which are top contenders for the title of the best tool bag for maintenance. 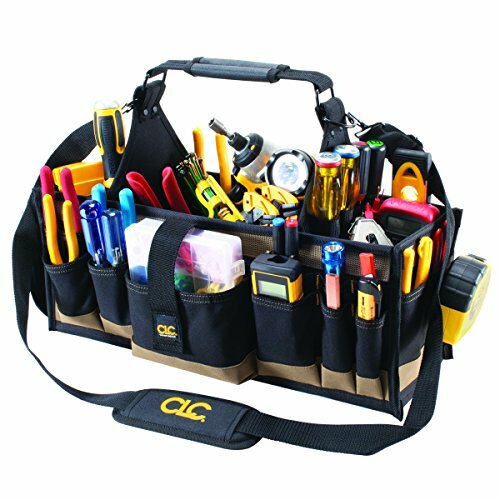 If you need a durable, convenient, and roomy tool bag for maintenance and electrical work, the CLC Custom Leathercraft Electrical & Maintenance Tool Carrier might be a great option for you. It has a large center section, lots of pockets, and is made with durable materials to ensure the utmost in quality. 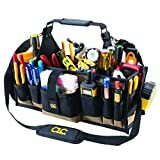 Maintenance tool bag with over 43 pockets, parts tray, and more. The CLC Custom Leathercraft Electrical & Maintenance Tool Carrier is a great choice for maintenance personnel and electricians alike. It features a very large center section for all of your bigger tools. It also comes with 43 different pockets and sleeves which are ideal for tape measures, wrenches, pliers, and all of that other fun stuff too. When it comes to general maintenance, there is really no tool that you will not be able to fit into this particular tool bag. It also comes with a parts tray for little screws, nuts, bolts, and that kind of things. The parts tray is 9 by 7 inches, just in case you were wondering. It even comes with 2 window pockets, so you can see what is on the inside, a strap for tape, a clip for your tape measure, and more. The CLC Custom Leathercraft Electrical & Maintenance Tool Carrier is a fairly durable option to go with. It is made out of rugged polyester and has very strong seams. The weight capacity here is fairly high, so you can rest assured that the weight of your tools won’t rip this tool bag. It is designed to be in the shape of a box to make it stable and prevent it from tipping over, which is always nice when you need quick access to all of your tools. To make it portable and easy to carry around, the CLC Custom Leathercraft Electrical & Maintenance Tool Carrier comes with carrying straps and a padded shoulder carrying strap too. 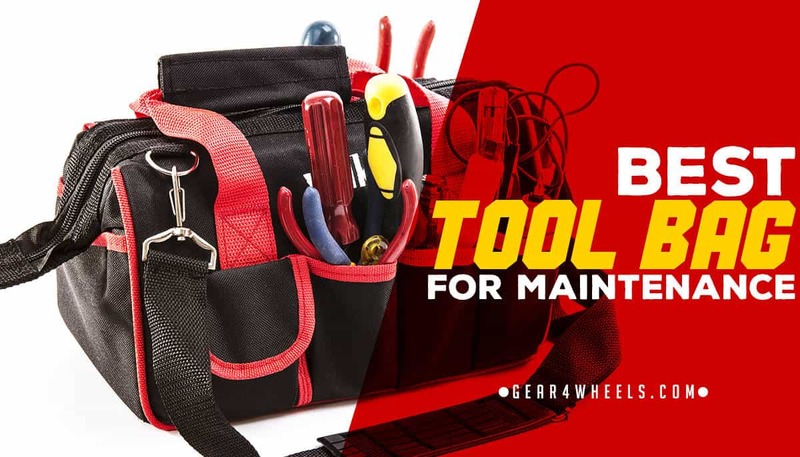 What is really cool about this particular tool bag is that it comes with all of the tools you need for general maintenance. Everything that you could fit on the inside is already included. What could be better? The WORKPRO Maintenance Kit with Compact Tool Bag is a really neat tool bag, simple but neat. What we mean here is that there is really not all that much to say about this particular tool bag, but it does come with a whole lot on the inside. The tool bag itself is made of very durable fabric which is water resistant to make sure that your tools do not get wet. The bag itself is quite rigid and sturdy, which makes it stable, prevents it from tipping over, and helps you easily access the interior as well. 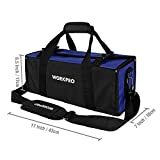 The WORKPRO Maintenance Kit with Compact Tool Bag comes with a nice padded shoulder strap for easy carrying, plus it has normal carrying straps as well. This is a wide mouth bag for even easier access to the inside, plus it has a Velcro closure to make sure that your tools stay exactly where they are supposed to be. 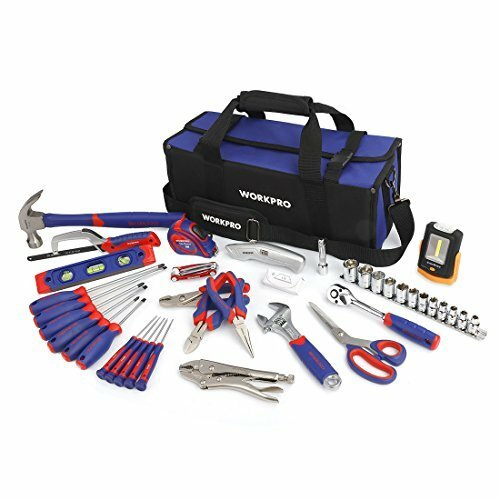 Now, the really cool part about the WORKPRO Maintenance Kit with Compact Tool Bag is that it comes with a 54-piece maintenance set, or in other words, pretty much everything you might need for a day on the job. Included is an Everbright work light, a utility knife with 10 extra blades, stainless steel scissors, a miniature hacksaw, 3 piece slotted screwdrivers, 3- piece Phillips screwdrivers, 5-piece precision screwdrivers, 7-piece hex keys, long nose pliers, diagonal cutting pliers, slip joint pliers, locking pliers, claw hammer, tape measure, a level, a ratchet set, a wrench, and more. The bottom line is that in our opinion, the CLC Custom Leathercraft Electrical & Maintenance Tool Carrier is the best option to go with. Now, keep in mind that this tool bag is the best one on the list, but it does not come with tools included, like the other 2 options too. While it is the best tool bag here today, it doesn’t have tools like the WORKPRO or the Apollo do.